The phrase "single-family home" is something you'll often see when browsing through real estate listings. A single-family home might seem easy to define: It's a home for a single family, right? Eh, not exactly. To be classified as a single-family home, there are requirements the property must meet. What are those requirements? Let's take a look. No common walls: A single-family home is a stand-alone, detached property, says agent Chrisoula Papoutsakis, a real estate agent with Triplemint in New York. This means the home doesn't share common walls or a roof with any other dwelling. Land: A single-family home has no shared property but is built on its own parcel of land. "The area around the building is for the private use of the owner," says Kevin Adkins, CEO of Kenmore Law Group in Los Angeles. Entrance and exit: A single-family home has its own private and direct access to a street or thoroughfare. This is as opposed to an apartment, which has hallways and a lobby that lead to street access. Utilities: Only one set of utilities can service a single-family home—and may not be shared in any way with another residence. This applies to heating, electricity, water, or any other essential service. 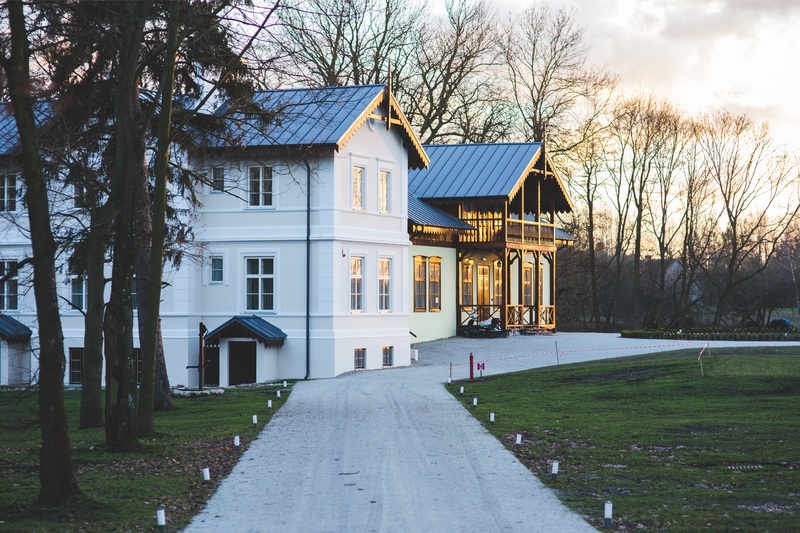 One owner: A single-family home is built as the residence for one family, person, or household, whose owner has an undivided interest in the property. Single kitchen: A single-family home has one kitchen. Adding a kitchen to an in-law suite or carriage house will alter a home's zoning classification. The type of home you buy depends on your budget and needs. A single-family home will suit you if you are seeking privacy. Since it is built on its own slice of land, you'll have some distance from your neighbors. You'll also probably enjoy the extra storage space of an attic or garage in a single-family house. Single-family homes also come in many different architectural styles—whether ranch, Colonial, Mid-Century Modern, Cape Cod—as opposed to the more straightforward design of a condo. While owning a single-family home will mean total independence, there are a few factors that can be seen as downsides. Condos, townhouses, or multifamily properties may come with common gyms or pools open to all owners; single-family homes don't usually have community amenities. The purchase price of a single-family home tends to be higher, since you're buying an entire lot, says Papoutsakis. That translates into a larger down payment and closing costs as well as recurring expenses like insurance and property taxes. When you're looking at a real estate listing, you'll see a zoning letter in the house's description. A single-family home will be zoned “R,” which refers to “Residential,” followed by a number, says real estate agent April Kozlowski Palomino at Coldwell Banker Residential in Winter Park, FL. An R1 rating indicates that the land allows only one home. Multifamily residences normally have an R2 rating, which means two residential dwellings can exist on the property, typically in the form of a duplex. And an R3 rating permits multifamily units such as apartments or condominiums.